All tours: Departure time: 08:00 – End Time: 18:00hrs . In the morning at 0600 hrs, is a pick up time from your hotel or stay in Arusha town, with your packed lunch, drive on tarmac road 190km to Ngorongoro gate. 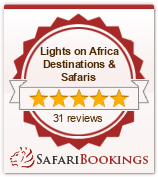 Your day tour begins with your hotel pickup at the morning, and heading south to stunning Tarangire National Park. We arrive at the Tarangire national park for game viewing, Afternoon you will stop for a picnic lunch. Your afternoon game-drive will reveal all the wonders of Tarangire, a National Park often referred to as the ‘Elephant Playground’. Herds of up to 300 of these mighty mammals are sometimes seen in the park. Serengeti may be better known, but Tarangire in the dry season easily rivals it for animal densities. As well as the herds of elephant Tarangire is home to buffalo, lion, wildebeest, zebra and gazelle while gerenuk and fringe-eared Oryx are ‘local specialties’. Lake Burungi’s marshy shores are the lure for these mammals and the waters attract many beautiful bird species, too. Look out for giant kingfishers, hoopoes and the delightfully-named white-bellied go-away bird. Tarangire is noted for its splendid baobab trees, rolling savannah and acacia woodland. At the end of an inspiring afternoon amongst the wildlife, drive back to your hotel in Arusha. Your day tour begins your hotel pickup at the morning, followed by a pleasant drive westwards to Lake Manyara National Park. First of all, we enjoy this morning with an introduction to northern Tanzanian culture, taking a short beak to fascinating Mto wa Mbu village. Incredibly, this ‘village’ is actually home to over eighteen thousand inhabitants, drawn from 120 different tribes. Lake Manyara is rightly famous for its tree-climbing lions, but they’re far from the only highlight: by the end of an exhilarating afternoon, you could easily have spotted elephant, hippo, wildebeest, buffalo and giraffe, plus many other species. Pink-hued flamingos, one of 400 bird species recorded here, provide a splash of colour. Late afternoon drive back to your hotel in Arusha. Your day tour begins your hotel pickup at the morning, followed by the short drive to nearby Arusha National Park. Often overlooked by visitors to Tanzania, this is nevertheless a special place: your driver-guide will show you the marvelous Ngurdoto Crater and the splendid resident wildlife. Enjoy a calming canoeing safari in Arusha National Park, and experience wildlife watching in a whole new way. Watching the resident wildlife come to the lake to quench their thirst promises a good nature sighting. You can also opt for a walking safari which can turn into an exciting highlight here, in a park which is the only place on Tanzania’s Northern Circuit where the acrobatic black and white colobus monkey can be easily seen. Also present here are leopards and hyena, though an elephant sighting would be rare and lion are absent. But there is every chance to see giraffe and zebra, waterbuck and dik-dik. Enjoy the colorful birdlife with trogon, turaco and flamingo among the many species, while you break for picnic lunch, in this delightful setting. Your driver-guide is dedicated to helping you identify them all! After our time in the park, we return you to your Arusha some rest.